The company has now announced a new pair of closed-back planar magnetic headphones, called the PM-3 Classic. At 10 oz (283.5g), the PM-3 Classic are the world’s lightest pair of closed-back planar magnetic headphones, which are usually known to be big and bit bulky. For those not aware, planar magnetic headphones work by suspending a thin flexible diaphragm with embedded voice coils between two powerful permanent magnets in an isodynamic magnetic field. The electromagnetism generated within the diaphragm causes it to move between the permanent magnets, causing it to generate sound over the entire surface. Planar magnetic headphones are known for their superior soundstage, bass, and transient response over traditional dynamic drivers but their large size and slightly more complicated design make them a less popular choice among manufacturers. 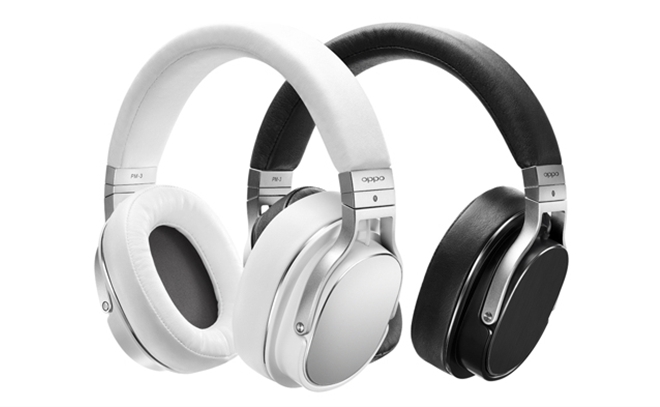 The Oppo PM-3 Classic will be available in black or white and has a UK SRP price of £349.00. It comes with four cables, one long cable for home use, and three short ones for use with iOS, Android, and standard headphone jacks, respectively.